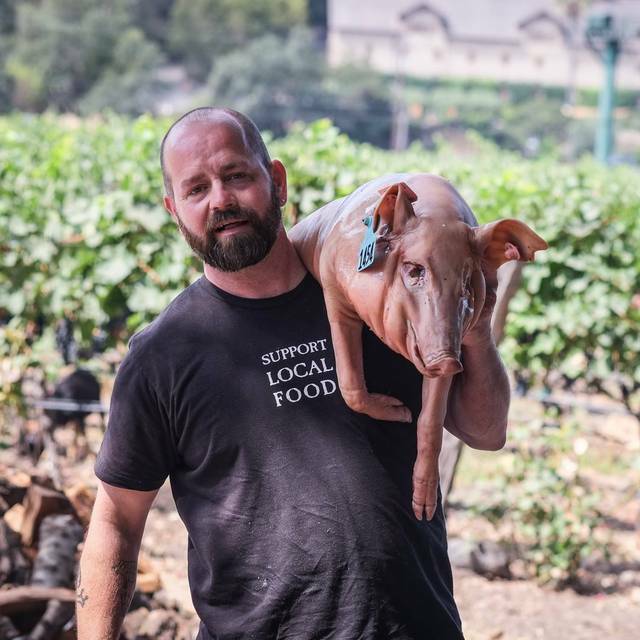 We believe deeply in the responsibility of our purchases, seeking to support small farmers, diversity of agriculture, pasture living for animals, and respect for their life given, using all parts “snout to tail”. 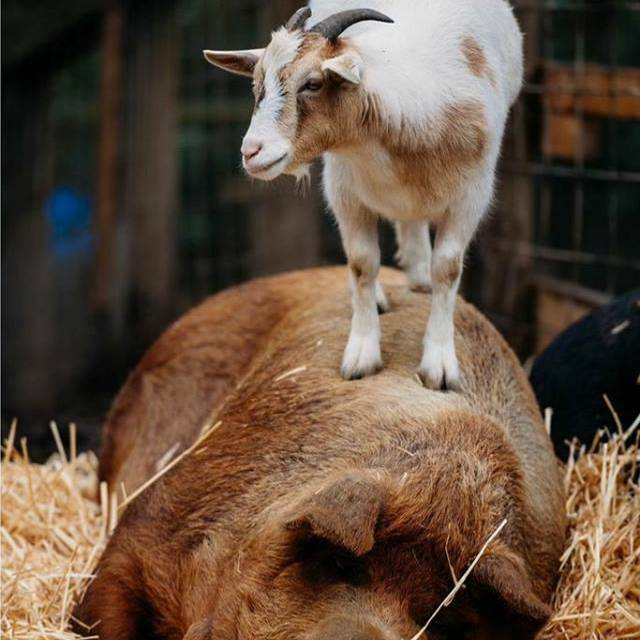 The kitchen’s scraps are saved to feed the farm animals. Come join us at the table! 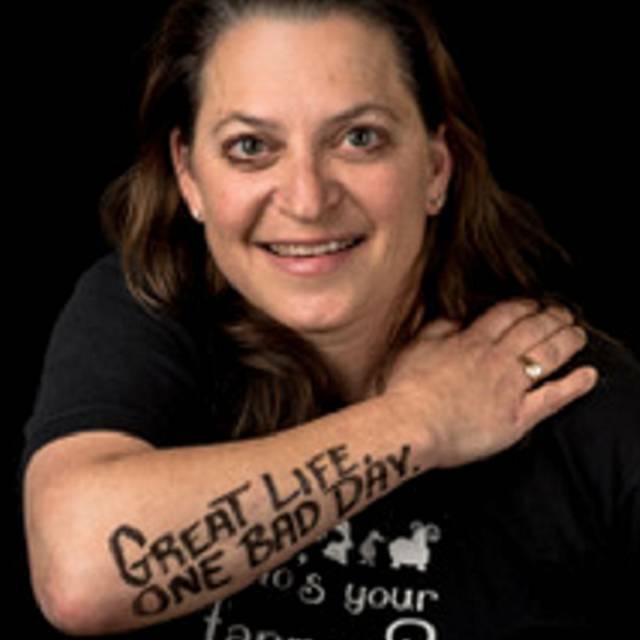 We have also been featured on Guy’s Big Bites, Guy’s Grocery Games, Emeril Green, P.B.S.’s Chefs-A-Field and A Moveable Feast. We design menus around your desires and the best the season has to offer. Email eat@zazukitchen.com for more information. 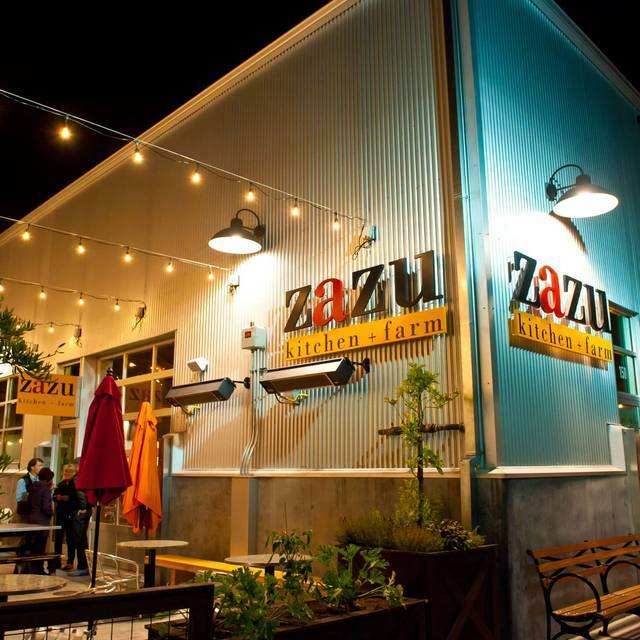 Thank you for choosing Zazu Kitchen + Farm. Should your plans change, please let us know. And, if you didn't find the perfect time for your reservation, try calling us. Bacon Caramel Popcorn on Us! Are OUTSTANDING! We will definitely come back for brunch! We went there on a Saturday night. She had pasta, porcini, mushroom dish, I had ravioli of the day. I ordered the larger portion for $26+ instead of the appetizer size. Both meals were about the same price. The meal I was served did not come up to expectations since it was so small. It should have been $13 or so instead. Her's was equally as small. We also brought a bottle of wine. The bill showed $25 corcage fee, which is high. There was a overall tip added to the total so it included tax and corkage fee in tip calculation. I consider that wrong and indicated my displeasure. They gave me $5 back. Better than nothing. Waitress said the extra fee is to pay her for pulling the cork. What a joke. So be aware if you patronize this place. Great food, nice place, staff was very friendly. Only had a couple dishes but definitely would go back again. The restaurant has all the elements it needs to be really good. Unfortunately their Valentines Night menu was over-thought and under executed. A 20 minute wait to order our initial drink, and the fact that the appetizers turned up before the first drink did not set the right mood, and the food execution failures- drizzling risotto into an artichoke making both ridiculously difficult to appreciate and eat bring the best example - I’m questioning my sanity in still agreeing to drop over $300 for this meal. We went for Valentines Day. It was a superb restaurant amidst a very nice setting of the Barlow. A little expensive but certainly a must visit in Sonoma county. We had a very good lunch at Zazu. The service was prompt and friendly. Our biggest issue though was that the white napkins left both of us covered in white lint/fuzzies. We asked if they had black napkins, which they did not. At the end of our meal one other server stopped by to see if we needed anything, we mentioned they poor napkins and he brought us a lint roller, since they’ve had other complaints. Just a thought, maybe get different napkins?!? The wife and I stopped for lunch in between wine tastings. Food was awesome and interesting. Who puts bacon inside the waffle? Delish. Great stuff. Duskie is always great! Food is outstanding & service is always above par! A definite "must do"
I liked my meal but I thought it was pricey and the $25 corkage was also a little shocking particularly since we brought in a Sonoma County wine. Had a wonderful Sunday brunch. 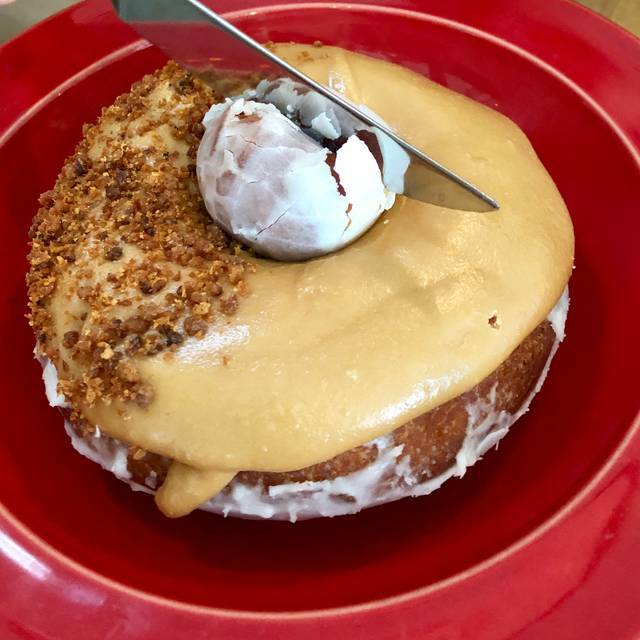 Maple glazed donut a must! we used to love this restaurant but the food and service was terrible - I wrote a longer review but it disappeared. will not be back. 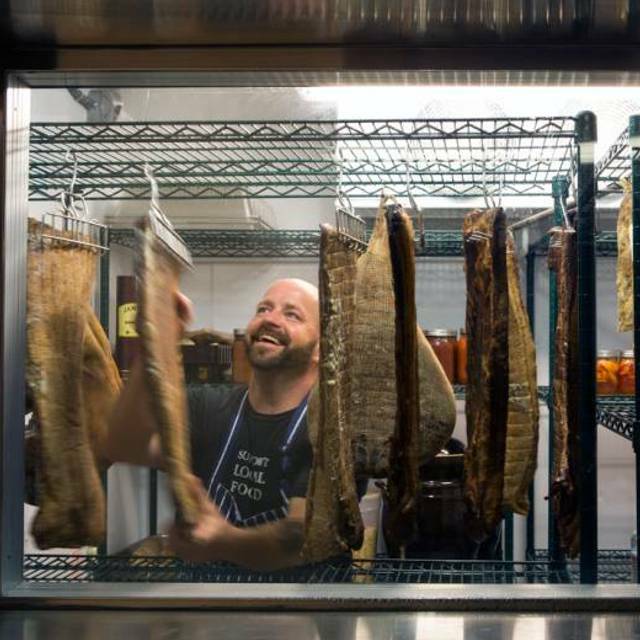 Though we had high expectations for Zazu Kitchen, the experience was lass than satisfying. Though some of the food was tasty and well prepared, the prices were very high for rather slight appetizers, and both the quality and the quantity of some of the entreés was lacking. The service was friendly, but there was a noticeable lack of attention to the flow of the meal. The result of not being served properly caused a great deal of clutter and confusion of plates and dishes - we even resorted to placing our own used items on the neighboring table! The decor felt cold and uninviting, with less than comfortable metal chairs placed on a hard floor. Though Zazu presents itself as having a sophisticated artisan farm-to-table ambiance, in our experience it fell far short of such refinement. Despite this, the restaurant maintains very upscale prices on nearly all of its menu items. Four of us shared a modest dinner (without any drinks) and the price was still over $50 per person. Perhaps it is a fine place to share cocktails with friends, but I would not recommend Zazu for people seeking a cozy atmosphere with meals at a good cost to value ratio. Wonderful staff. Everything we ordered was basically delicious and interesting beyond our wildest expectations and dreams. All of us were joyously mesmerized by the taste sensations we experienced. We were there for a first Friday wine event featuring our friends winery. 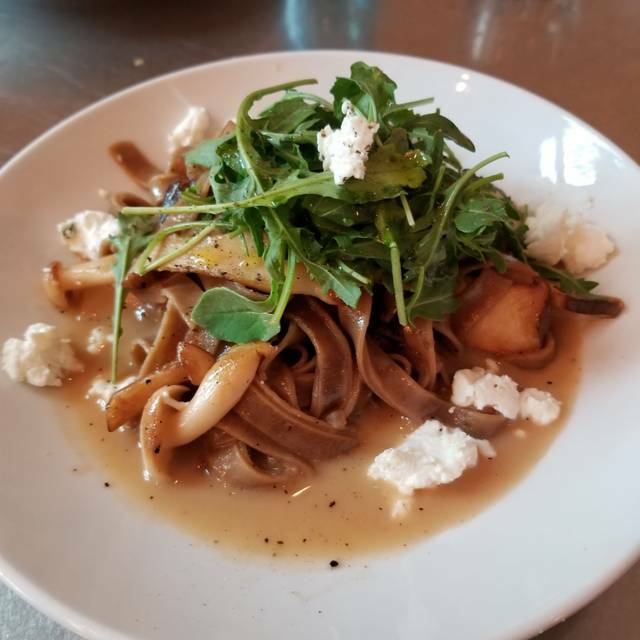 We have stopped going to Zazu because we had a few bad food experiences (food preparation not up to the standard of the pricing). We went to this event with high hopes and had a fairly good experience until the entree's were served which were no longer hot when they were served and the flavor blends were not entirely delicious although sounded good when described by the wait staff. We were a large group (15 or so) and that is always a little hard to manage. Excellent food! The atmosphere and service are wonderful. Would recommend it to everyone! Disappointed it was unclear that the regular menu was not available when we reserved, replaced by a significantly overpriced 3 or 5 set (small) courses; otherwise, would not have booked. Difficult to objectively review food quality in the face of a $300+ tab for three, 3-course meals, including 2 cocktails and a fixed 20% gratuity for what was at best 15% worthy attentiveness. Super disappointed. Service was slow and waitress didn’t know much about the ingredients if menu items. Burger was average but bun dry and oversized. Cobb salad very basic. Best thing was the poutine. Upscale menu for “foodies”. Very tasty and fresh. Very attentive server. Pricey. Arriving a little early we were greeted and seated quickly. The menus were brought out and were asked if we’d like water. The server came took out orders and got our food. Everything was fine but not exactly what I was expecting. I had mentioned in the reservation that we were celebrating our anniversary and there was no mention of it as we checked in or at the table. Which is fine. But for the automatic gratitudity added I felt a little slighted on the service. The food was delicious and we loved the Mac n Cheese. All in all it was fine. We drove all the way from Oakland for this and it did not disappoint! We had the burger and the pulled pork sandwich, both of which were mind blowing. We also had to try a whole side of that amazing bacon and a maple donut. The service was excellent and we are still glowing about our amazing meal and can't wait to go back! Interesting, original dishes, fresh ingredients, but to expensive. Just a great dinner. Black Pig bacon wrapped dates - no brainer. 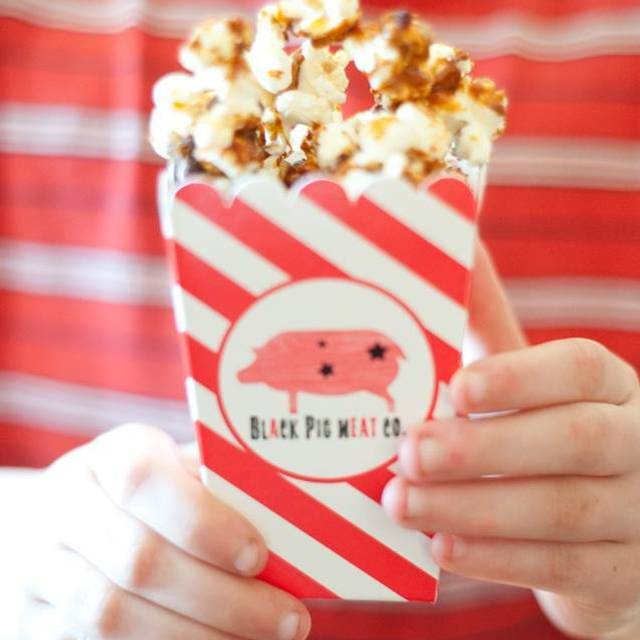 Black Pig bacon caramel popcorn - genius. I was DD so the Zazu ginger beer was perfect, but was told that cocktails were perfect. Short rib and polenta; fried chicken (with pixie dust, apparently, because it was magical); pappardele with lamb sugo; porcini pasta (for the vegetarian in the group - but they ate the popcorn...hmmmm) - crazy delicious, and balanced. Everything was done to perfection, and service was excellent - THANK YOU Ashley! (yes...we remembered her name...service was that good). Total destination dinner - casual or for a special occasion. We are going back for sure. And to check out the other cool places at The Barlow...but really, just an excuse to end up at Zazu again!! We've loved Zazu forever and were so glad when they moved to the Barlow. We moved away but have come back to Santa Rosa and were so glad to find the quality and friendly environment has remained! We'll go a million times more! It was my first time at Zazu and we were urged to try the Caesar salad by our server -- she was right It was even better than mine and I rarely have said that. Of course we had no room left for dessert but we had some anyway -- coffee gelato with the salted caramel topping. It would have been rude not to. Great FOOD and great service. We had a fun evening!!!! The food was just okay. Service was terrible. Way over priced! $20 hamburgers, $10 for 5 pieces of bacon. The grilled cheese was just weird. Flies everywhere! And looking up, the lights and pipes above us were filthy! The threatening reservation policy is nonsense! Never again. We enjoyed the farm-to-table experience here, appreciating the variety of local fare small and large plates. The "lettuce" salad was dressed fabulously, a bright acidity to enhance the pear slices, goat cheese, and pomegranate seeds. 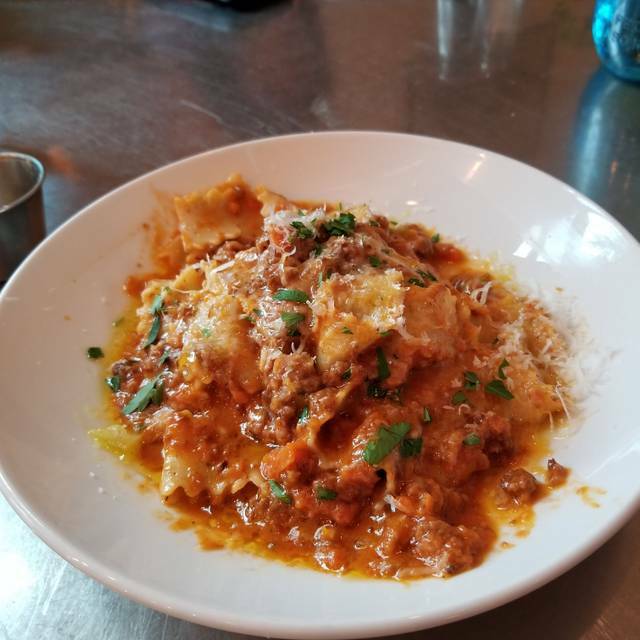 We split just two other things: the brussel sprouts and short rib parpadelle. My only negative critique would be in the portion imbalance: while the sprouts were a side dish, it was nearly overwhelmingly excessive, especially for the way it was prepared - fried. While delicious - and entirely consumed - the serving would have been better digested(!) at half the amount. Meanwhile, although we shared the parpadelle, as an entree, we would have liked a bit more, especially as the meat was somewhat sparse. The photo gallery in the back hallway is a great way of telling the story of your restaurant - thank you! We'd been to Zazu before but never for brunch. The server was very nice and attentive. I was disappointed by the fact that they had no gluten-free bread or pastry available. That's very unusual for Sonoma County. Every restaurant that I go to now for breakfast, brunch, or lunch has gluten-free options. I would expect a restaurant of Zazu's caliber to have GF. The brunch was nice - I had a side of bacon and a small bowl of strawberries and my partner had pancakes. We shared 4 bacon wrapped dates and I had a cup of coffee. Although very expensive as the above cost us over $70. I would have rated the food 4 stars if they had GF bread/pastries. We have loved Zazu over the years and gone for special occasions but as the food scene has expanded in Sebastopol and prices gone up it just isn’t a good value anymore. Plus despite there being hardly any other diners there the last two times we went we waited an unusually long time for service from ordering our food to waiting for desert despite putting in our order for it when we arrived. But the food is usually quite good and we go when we’re not in a hurry. This last visit I really was disappointed with the food. Fried chicken for $30 should not be so dried out you have to search for the meat under the hard batter. The staff is all very nice but I think they have lost their focus which is sad. Oh and the 20% gratuity is added to your bill automatically. I say great for lunch because dinner was ridiculously expensive. Good food but poor value. Starters are expensive with very small portions . I made a reservation well in advance and when I arrived at zazu a few minutes prior to my reservation there were chairs on the tables and they looked closed. When I got someone’s attention she opened and said I’m sorry our cook already left. I explained I had a reservation. She said she wasn’t aware of a reservation but after she looked into it she found it. It was my birthday and I was beyond disappointed that this occurred. I am very hesitant to visit or attempt to visit the restaurant again. This was a first time at Zazu and it was an excellent experience. The hostess was very accommodating as we were late to our reservation but were immediately seated upon arrival. It was a busy Friday night...the atmosphere was pleasing and the room had nice vibe. Our waitress made some great suggestions and every dish that came to our table was fantastic. We had a group of 5 and everyone was raving about their dishes. We had a reservation and got there early, so we had cocktails at the bar and they were lovely. After we got to our table, we were never brought water even though we ordered it twice. Someone took our food and drink order but we never received our drinks or food. After 30 minutes, we left. In the past this has been one of our favorite restaurants, so we felt bad. But it seemed they did not have the staff to keep up with the Friday night crowd. For farm to table style they had very elaborate yet small menu and way too expensive. It’s was my wife’s bday and they tried charging us $21 just to bring out a cake that we brought!! $5 for a bottle of coke...server was friendly but annoying. Amazing food! Great staff and wonderful owner! Highly recommend to anyone who lives in the area but highly recommend to those visiting the area.